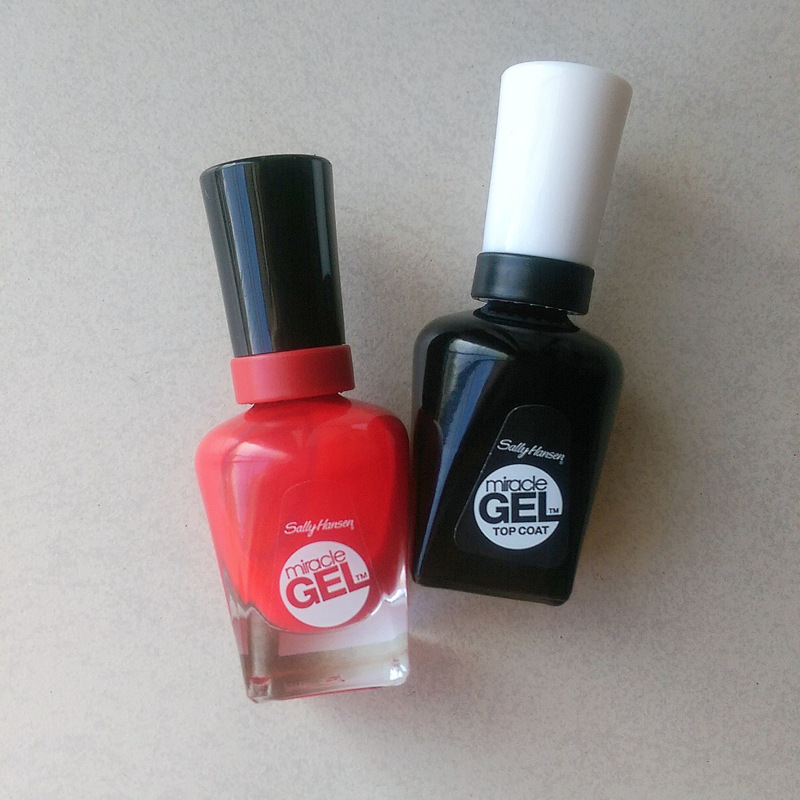 Sally Hansen have created a new polish system called Miracle Gel. They say it’s the only true 2-step gel manicure with no light needed and I just have to take issue with that. I mean, the very characteristic that defines a ‘gel’ polish from a regular one is the fact that it doesn’t dry on it’s own. You need a light to cure it. Sally’s polish, however, doesn’t need curing. It just dries, mos like I every other polish on the block so I don’t know where they get away with their whole gel spiel. But ja, that aside, I was given the top coat and a shade called Red Eye and, for the most part, really liked both of them. Red Eye is a very ‘primary red’ shade that comes on a bit a sheer. After two coats, I can still distinguish the white tips of my nails. Three coats, however, and you’re good to go. I liked that it dried fast and set to a shiny finish even without the top coat, but obviously you want to apply that if you’re to keep your mani for longer than a day. 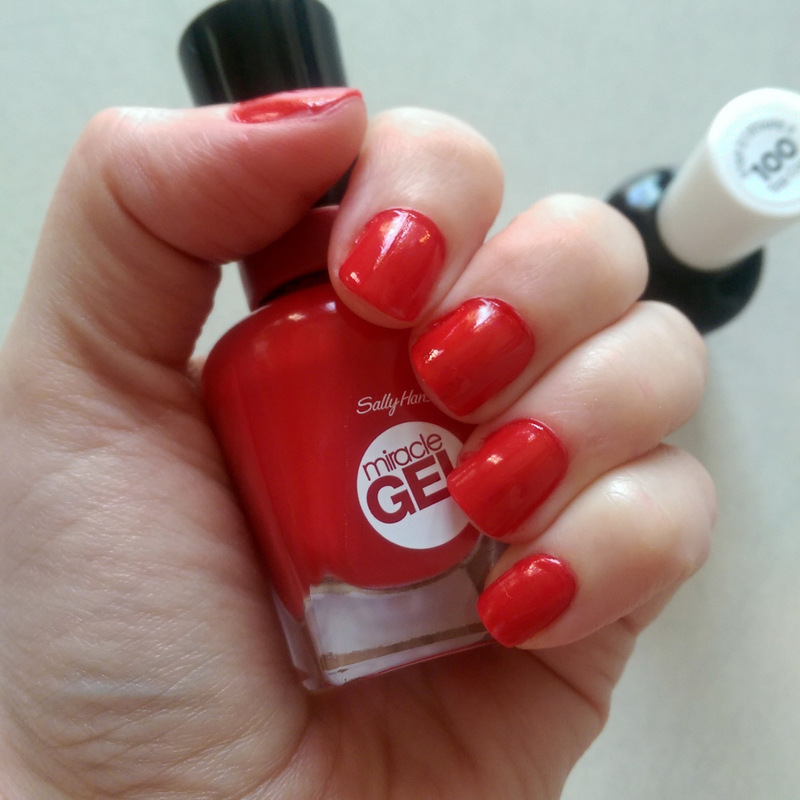 Sally Hansen Miracle Gel polish in Red Eye. Another plush? Sally’s Miracle Gel polish uses the same brush her other nail colours do in that it’s thick and slightly curved at the tip to make applying the polish a total breeze. 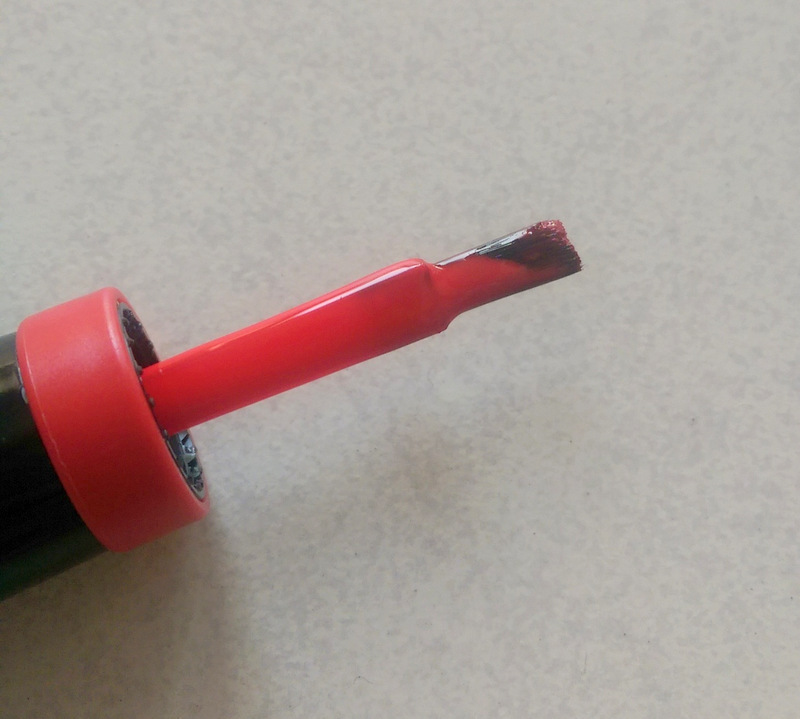 You can’t really see it here but the brush fits into your cuticle’s curve like a dream. Have to admit, I keep coming back for your brutal honesty. Love it so much! Very disappointed. I bought two. They make ugly streaks and are not nearly like a gel finish. I love your other products and have always recommend you but the miracle gel is not nice at all.